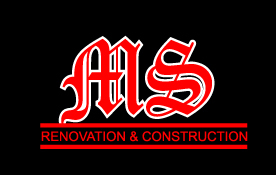 MS Renovation & Construction was incorporated in 2007. 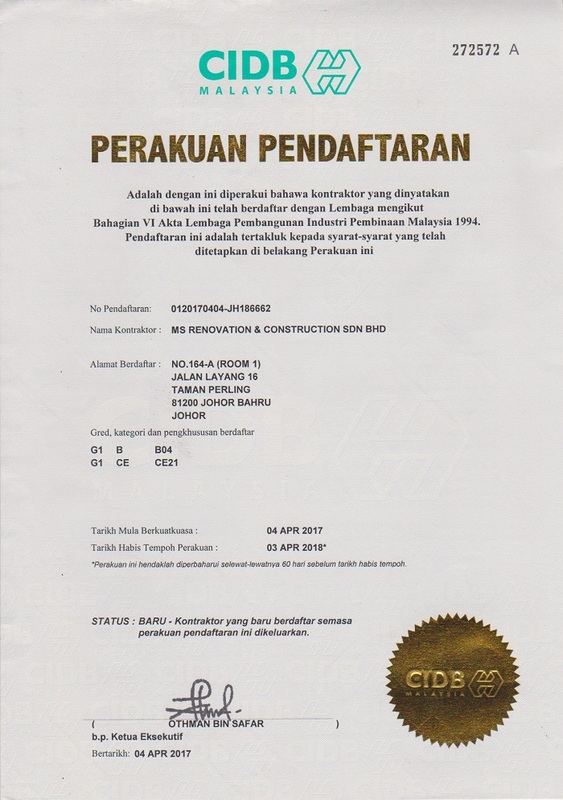 We are Johor Bahru & Singapore based company providing service in general building engineering works and specialized trades. We emphasize on safety at work, total customer service, and work quality. All of our work tradesmen are qualified/ trained under the prevailing statutory regulations for the works being undertaken. For instance, more than satisfactory feedback has been recorded from some of our reputable clients both in the public and private sectors. We strive to be a reliable and competent construction works service provider to our clients. We listen with understanding and deliver our service proactively as well as integrity and responsibility. We believe in quality, safety, compassion, and honesty. The company’s mission is to provide quality building engineering solution to corporate and domestic clients.